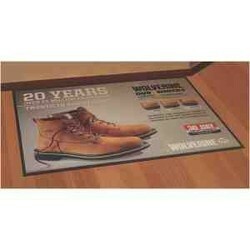 Our new promotional mat provides a lasting impression of your brand. 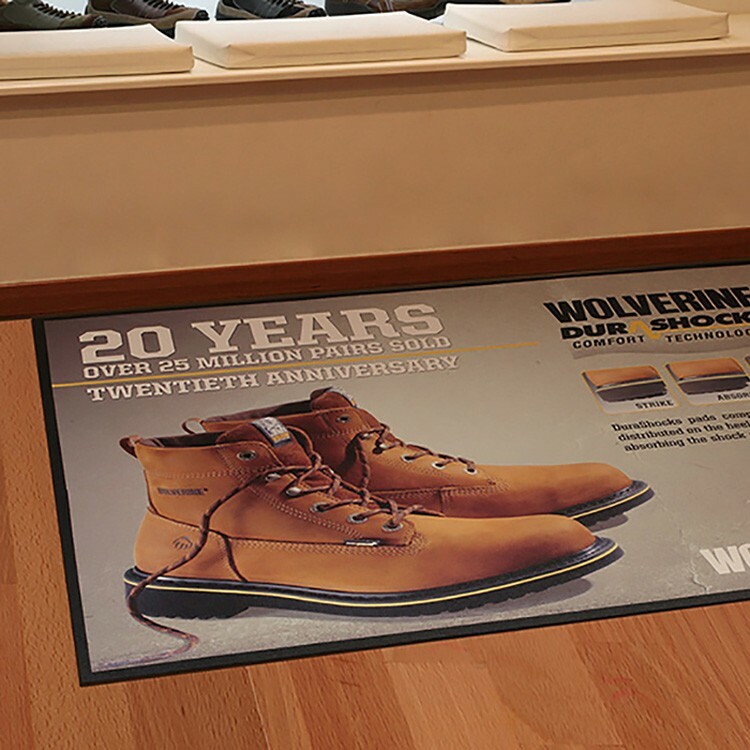 Designed for high traffic areas, Floor Impressions logo mats are made of durable Nitrile rubber (backing for oil resistance and flexibility) with a textured vinyl printing surface. These mats are perfect for point-of- purchase programs, food and beverage displays, events, trade shows and product advertisement. 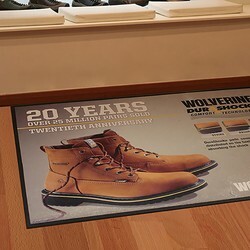 Impervious to sunlight, these long lasting logo mats are suitable for indoor or outdoor use.